Want to play 20 weeks of free golf in an evening 9 hole league? If the answer is yes, then bring your group to Mallard Creek for the 2019 season.This year we are hooking up all of our league coordinators with free greens fees. We realize the type of effort that goes into running a league and we want to reward those league coordinators who put in all of the work at organizing their groups. Dollar for dollar, there is no better league course in northeast Ohio. Centrally located, we are accessible via I-480, the Ohio Turnpike, I-71, and state routes 82 and 83. Mallard Creek is currently home to 30 evening leagues with room for more. Our ample course space allows us to accommodate leagues of any size. Whether you are looking to casually play with some friends or hosting something with your co-workers, we have the perfect facility to enjoy a relaxing round after a long day at work. League play rotates through all four of our unique, full length 9 hole courses. That means your group will be playing a different 9 holes for every week of the month. Your league will have access to our pavilions to use for cookouts at no charge. There is no deposit necessary to hold your leagues tee times. We make it easy on our coordinators and league players by letting them pay each week as they choose. Our beverage carts are always patrolling the course, catering to your refreshment needs. After your round relax in our comfortably air-conditioned club house featuring a snack bar with reasonable prices and flat-screen televisions. 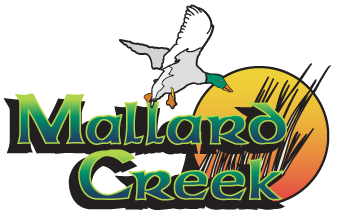 Contact MattK@TheMallardCreek.com for any and all information regarding leagues at Mallard Creek. The Fairways Cup is kicking off its third season in 2019 and we want you to be a part of it. League play will alternate between Mallard Creek and Pine Brook Golf Clubs each week, so you will enjoy playing a variety of holes and layouts. The league is formatted as an individual ‘FedEx Cup’ style setup up. Tee times start at 5:15 p.m. on Wednesday nights. League play will begin on May 1st, 2019 and go until September 11th, 2019. Each player will golf 9 holes each week using stroke play scoring. The league is handicap based so players of all skill levels will be playing in a fair and competitive format. Players will be going head-to-head against the entire league instead of having a different opponent each week. Players will earn points based on the position they finish for the week. For example, if you finish with the lowest net score on a certain week, you will be the first-place finisher and receive the highest possible points for that week. On the other hand, if you finish with the highest net score on a certain week, you will be the last-place finisher and will receive the lowest possible points for that week. If you would like more information on the league you can email Matt@TheMallardCreek.com or call him at (440) 748-8231. We are looking forward to a great season! Now approaching its 27th season, our Monday Morning Men’s Senior League is over 80 members strong with room for many more. This league is for golfers 60 years old and over. Each Monday, as long as weather permits, league play begins at 8 a.m. A $20 registration fee is required this year and will allow you to get in on all of the perks that we offer our seniors. All seniors registered with us will receive our special Monday morning rate of $24.00 for 18-holes riding. League play rotates between each 18-hole courses every week. The Duck League is entering its 10th season in 2019! The league is an individual match play league comprised of 4 flights (A, B, C and D flights). All golfers of varying abilities and age are invited to join the league. League play begins on April 29th at 5:00 p.m. and is held each Monday at that same time. We already have have a great group of golfers who been playing in the league for a number of years. Included with your league dues of $50 are two cookouts with free food and beverage, handicap tracking, league management and prizes throughout the league season. The “Ladies League” offers a fun and inviting atmosphere for all ladies to enjoy a weekly round of golf. Rounds are played Tuesday evenings starting at 5:00 p.m. The first day of league play will be Tuesday, April 31st. League play will rotate among our four nines in order to give players a different experience each week. The league is designed for friendly competition. Ladies of all different skill levels are welcome to join! The “Couples League” at Mallard Creek is now entering its 6th season. This league offers a fun and inviting atmosphere for you and your significant other to enjoy the company of other golf enthusiasts. The Couples League is a great outlet for couples looking to mix up their summer activities. Rounds are played Friday evenings starting at 5:00 p.m. League play will rotate among all of our four nines in order to give players a different experience each week. We designed our format for couples to have fun and enjoy the great game of golf together, all while meeting great new people along the way!